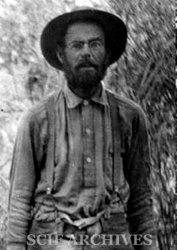 GRINNELL, Joseph (1877-1939), Oklahoma-born naturalist, field biologist and ornithologist who moved to southern California at age 7. After graduation from Pasadena High School in 1893, Grinnell enrolled in the college division of Throop Polytechnic Institute where he began his scientific training. In 1896, his studies were interrupted by an opportunity to go to Alaska, where Grinnell spent two years studying and collecting birds. Alaskan tourists and ornithologists, including Joseph Mailliard, visited Grinnell to view the bird skins. Upon his return to California, he finished his last year at Throop. Grinnell sailed to Avalon, Santa Catalina Island from San Pedro in March 1897. The following day he sailed to San Clemente Island, where he collected birds from March 25-April 3, 1897, until his return to San Pedro via Avalon on April 4, 1897. May 11-June 9, 1897, with the support of the Pasadena Academy of Sciences, Grinnell participated in a three-week-long expedition to Santa Barbara, San Nicolas and San Clemente islands. On this trip Grinnell collected birds, eggs and lizards on Santa Barbara Island May 13-18, 1897 before transiting to San Nicolas Island where he collected both birds and lizards May 19-May 25, 1897. From San Nicolas Island, Grinnell returned briefly to Santa Barbara Island on May 27, 1897 and took the opportunity to collect two island night lizards. (These specimens were subsequently lost at the California Academy of Sciences during the April 18, 1906 San Francisco earthquake and fire.) From Santa Barbara Island Grinnell transited to San Clemente Island for where he collected specimens from May 28-June 5, 1897 before returning to the mainland. Grinnell's work resulted in the first publication of the Pasadena Academy of Sciences. A set of bald eagle eggs he collected on San Clemente Island on April 1, 1897 is in the Museum of Vertebrate Zoology at U.C. Berkeley. In 1905 Grinnell became editor of Condor, publication of the Cooper Ornithological Society, a post he retained for 33 years. Joseph Grinnell. Museum of Vertebrate Zoology, University of California, Berkeley, CA 1894. 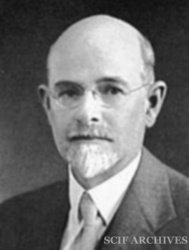 Grinnell died in Berkeley, California on May 29, 1939 at age 62. During his career, Grinnell influenced dozens of future scientists and published more than 500 books and articles in the field of biology. He may be best known for his work on California mammals. Grinnell named the Santa Cruz Island vireo, Vireo maillairdorum “for Messrs. Joseph and John W. Mailliard, whose conscientious work with the western birds deserves at least this slight token of our recognition.” Nine birds, four mammals, and two insects area named for Ginnell. Joseph Grinnell collected birds, herps, mammals and plants on six California Channel Island. There is no evidence he visited San Miguel or Santa Rosa islands. 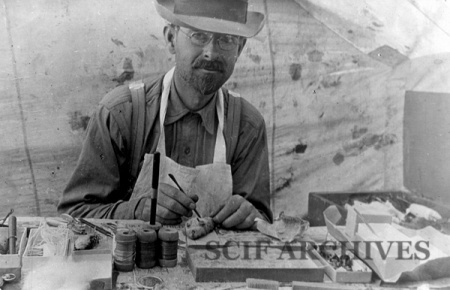 September 1, 1903 Grinnell collected a Santa Cruz Island vireo at “Friar’s Harbor,” which he described as a new species. » The Santa Cruz Island Vireo in Condor 5:6 (157) November-December 1903.